Working with special needs children presents many challenges. Reaching All Students ebook gathers a variety of helpful resources for children with special needs in one convenient place. 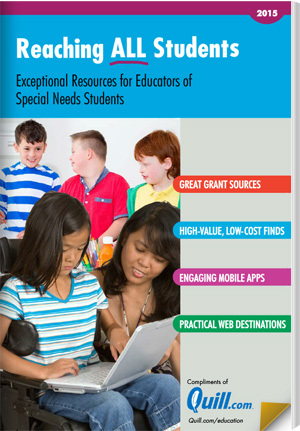 Special needs teachers will find links to grant resources, low-cost teaching tools, apps to help students learn and links to organizations that are devoted to helping special needs children.